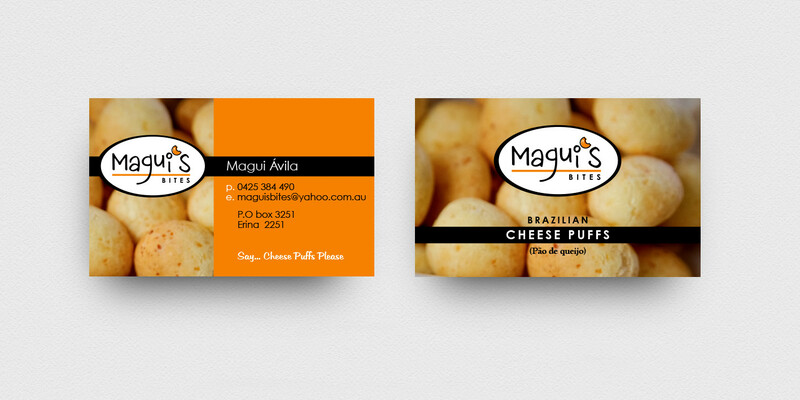 Maguis Bites supplies delicious Brazilian treats to Cafes throughout the wider Sydney and Central Coast region. Maguis Bites needed to create an engaging logo design and business identity to initiate the commercialisation of their homemade treats. With a growing range of tasty Brazilian “Bites” available to Cafes, they needed a vehicle to progressively showcase product to new and existing customers. After an initial design consultation Omni Design was engaged to create a new logo design that would sit proudly amongst some of Sydney and the Central Coast’s top cafes. Also providing design and printing for, new business cards, product labels and flyers. Armed with a fresh new identity Maguis Bites continue to grow in the competitive market place.